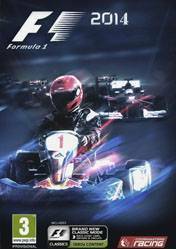 F1 2014 is the next racing simulator of the Formula 1 saga, produced by Codemasters study. Again, come back the next season\'s Formula 1 simulator, which Codemasters has tried to recreate a unique experience, representing faithfully vehicles, tracks and even drivers with gameplay far superior to previous installments of the franchise. Premiering in the eighth generation platforms, which allows a significant improvement of both realism vehicles and tracks, and a spectacular display of visual effects that will delight fans of this motor sport. There are no comments yet about F1 2014 . You can be the first one!